Hydro-Jet is not the water pressure from a hose. 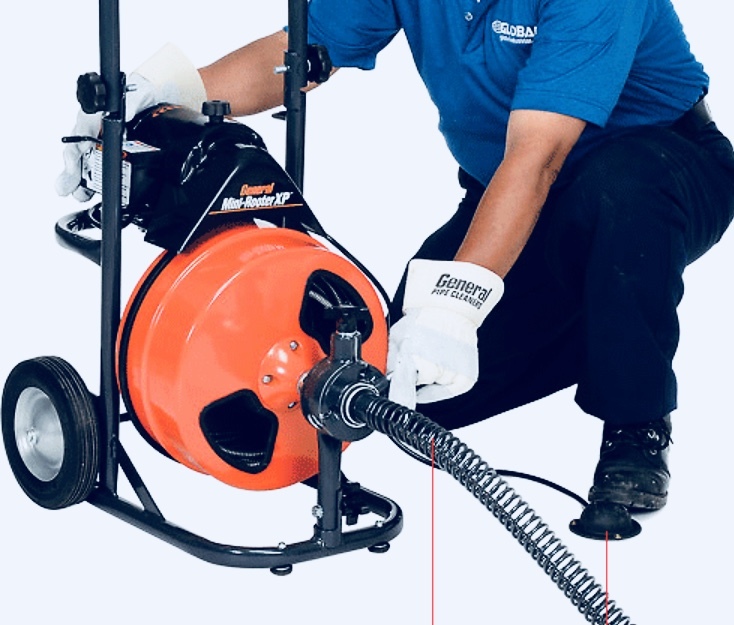 Hydro-Jet cleaning machines for drains use a compresser to blast water at thousands of PSI. Furthermore, the head of the jetter is designed to scale the pipes at an angle from the inside. When build-up in drains and grease have caused drain clogs I notice some customers will continue to snake the drain instead of going with the recommended Hydro-Jet. Go with Hydro-jet on our secure page to get a plumber within an hour The cost of jetting service with this company is about twice the cost of our drain cleaning with a snake. And yes, many standard drain cleanings don’t call back for the same issue. Nevertheless, if a customer has paid twice for a snake that a hydro-Jet would have solved, than the customer has already overpaid for inadequate maintenance. The problem with a snake (steel cable) service, is that it works for a while but clogs May reappear. Therefore doing the same thing and expecting a different result is not smart. Rooter machines for grease are like putting a band-aid on a bigger problem. Notwithstanding Learn more about hydro-Jetting yourself . Guaranteed Plumbing services the High Desert Area in San Bernardino county California. Victorville, Hesperia, Apple Valley, Adelanto, Oak Hills, Helendale, Phelan, and Pinion Hills. A Victorville plumber who is fast and reliable can be hard to find. That’s why Guaranteed Plumbing in Victorville is the best choice for the High Desert. Call or order online at our secure page. 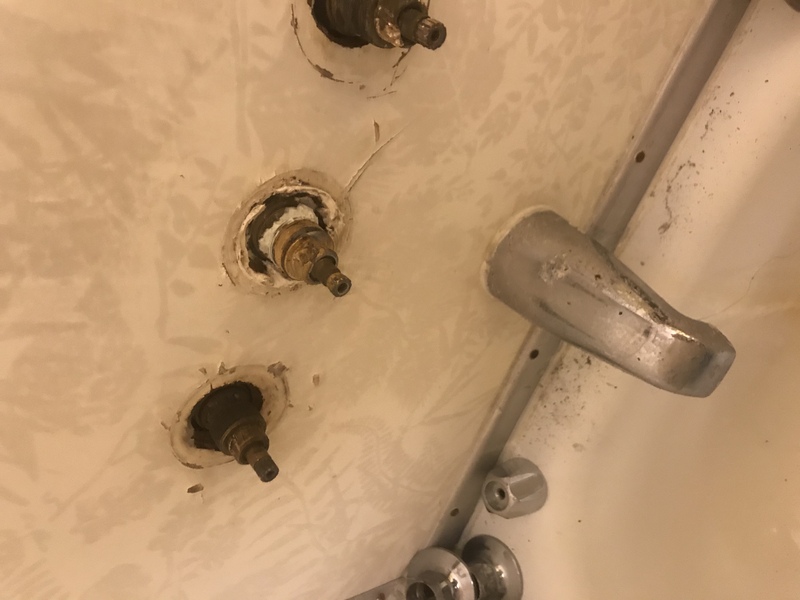 Despite the local corporate plumbing competition, this Victorville plumber has thrived thanks to the happy customers who return knowing a trusted plumber is only a phone call away. Not all Victorville plumbers are equal. My name is Robert and i am a local small-business owner who also does the work myself. When you hire a large plumbing corporation the price is definitely inflated. For example, your money pays employees who answer phones, hold signs on the street corner while dressed in costumes, and owners who lay back and count your money while smoking cigars. At Guaranteed Plumbing things are different, i answer the phones, perform the work and spend very little on advertising. 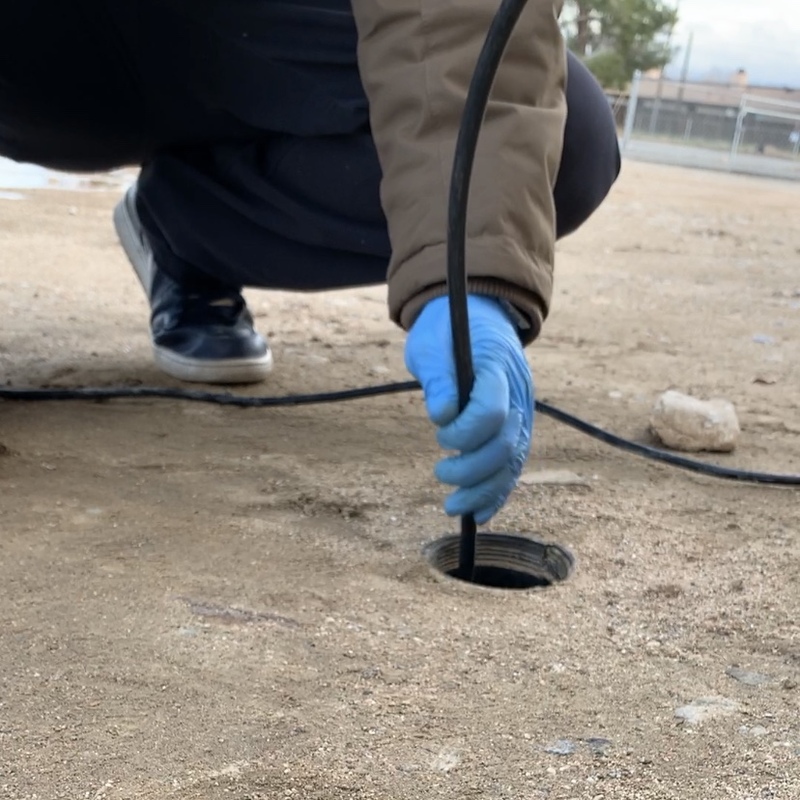 The result is a Victorville plumber who costs less and is trusted more than shady companies in the area. This old shower was repaired by the same Victorville Plumber who repaired the home’s water heater. That’s because it isn’t just pipe leaks you can get a good deal for, but also water heating, drain clogs, and swamp cooler maintenance. Don’t forget to winterize your swamp cooler during the winter or you’ll be dealing with bursted pipes in the summer 略. For more info on the importance of Winterization look at this. and even Helendale, CA. (Also known as Silverlakes). Slab leak repair is plumbing language for a leaking pipe under the concrete foundation of a house. This video shows a slab leak repaired for hundreds of dollars less than the local competitors. The entire job can last a few hours, nevertheless , you should prepare to be without water all day. The difficult part about these repairs can be gaining access. 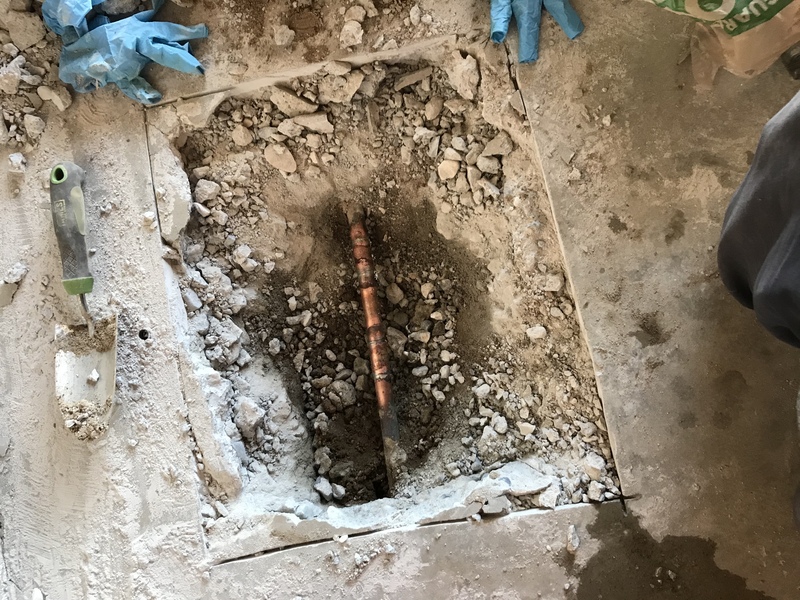 After a leak detection is performed (if needed) the plumber will jackhammer concrete around the pipe after having taken steps to prevent cracks. Once i have dug up and exposed the copper pipe , the soldering process begins. I do not recommend attempting to weld or braze copper on your own. My customer’s best assurance a slab leak repair can provide is not limited to a reduced water bill. When water constantly flows under a house the foundation itself can be undermined (literally). 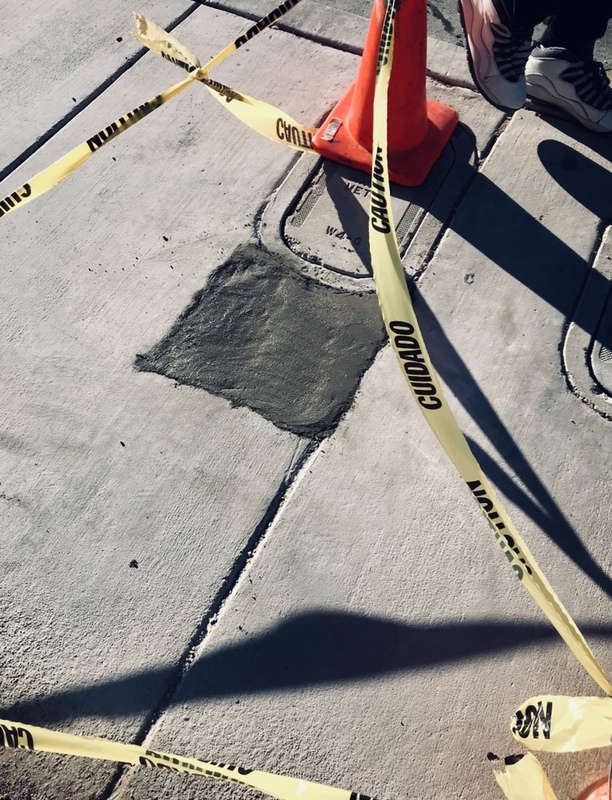 Other repercussions of slab leaks include standing water which in turn produces mosquitoes and leads to the spread of disease. I notice homeowners are notified by water companies when the water use has spiked. It is not the responsibility of the water company to fix water pipes on your property. My advice to avoid undermining a valuable property and the stuff inside; fix the slab leak or pinhole leak soon.